The Altman Family joined the Honeycomb family just over a year ago, when Maeve was nine years old. Volunteering is a priority in the family. From working in the Forest Preserve to re-purposing thousands of plastic grocery bags to make into sleeping mats for the homeless…Maeve enjoys being able to pick from the variety of projects that Honeycomb offers. 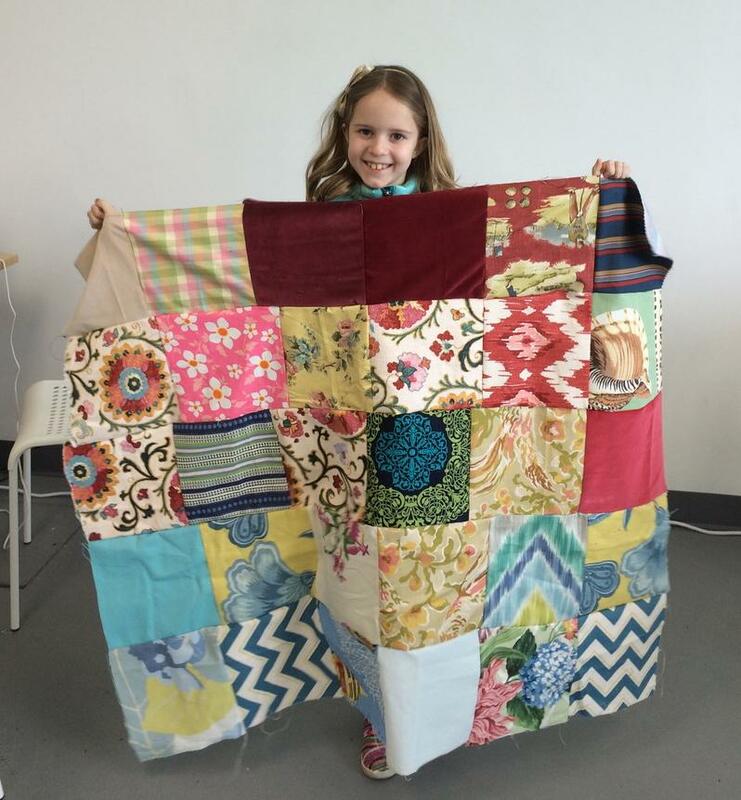 She especially loves sewing quilts at Sew Crafty Studio, which the family looks forward to doing again this month. “I love the educational component of each project…not only are Honeycomb events extremely well organized, but there is a clear message from the staff about the impact of each project,” adds Alexandra. The Altman Family appreciates learning about the impact they are making each time they give back, along with hearing about the statistics and current issues that Chicago is facing.